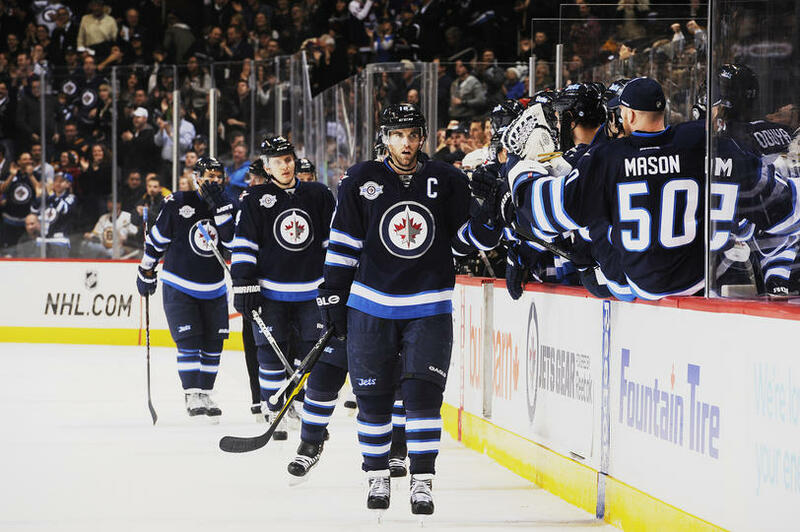 At 19-14-5, the Winnipeg Jets are almost at the midway point of the NHL's regular season and are amidst the thick of the Eastern Conference playoff race. Not only are they in the thick of it, they are thriving under the pressures and the demands that come with it. Mind you, not simply the demands of the fans of Winnipeg but the demands to play consistent hockey on a nightly basis with a schedule that can, at times, be more daunting than many NHLers would prefer to play. The Jets 3-2 New Year's Eve win over the Toronto Maple Leafs was a game of utmost importance and the Jets came through, with some luck of course. Two power play goals in a game are not a gift any NHL team will get on a regular basis. Albeit, two power play goals against the Maple Leafs dire 30th ranked 73.2% penalty kill. Try to ply their trade with two power play goals a game and you would be quite the consistent playoff contender. However, the Jets have become a team of consistency regardless of power plays and penalty kills. Ranked 14th in both power play (18.2%) and penalty kill (82.7%), the team has found a balance in Claude Noel's system as the new year approaches. The long December home stretch didn't hinder their play either, having won nine out of ten December games at the MTS Centre. And the crowd, once again, showed how much of a factor they are, they have been, and they can be. The Jets 14-6-1 home record is the best in the Eastern Conference through January 1st (most home wins by an Eastern Conference team) and is only bettered by the Chicago Blackhawks (14-3-3), the Detroit Red Wings (15-2-1), and the St. Louis Blues (14-3-2). That is elite company and the Jets know that. Now comes the tidings for the new year - improve a 5-8-4 road record. Winnipeg is the only team in the top eight in the East to have a losing record away from home. That emphasizes how important their home games have been and gives a glimpse on where they might be had their home stand gone awry. Still, the Jets are scoring - Evander Kane's 18 goals is tied for eighth best with Thomas Vanek and Radim Vrbata through January 1st - and their goalies are stopping the pucks - Ondrej Pavelec is 4-2-1 with a 1.56 goals against average in his last seven games and went 11-3-1 with a 1.91 goals against average and a sparkling .938 save percentage in December, with two shutouts. A new year, but hopefully the same old tidings for the red hot Jets.